One of the most enduring mysteries for my American Newberry family has been the identity of Amanda Newberry the fifth wife of James A. Newberry. Initially the story of James A. Newberry's fifth wife was related to us by a very senior member of our Iowa Newberry family (Cloda Gunn who died at age 102). She always maintained that James had, taken a fifth wife. While one might think he would marry someone more his own age, the story related to us was that his fifth Mrs. Newberry was a teenager and she was to some degree Native American. The Newberry family was also bi-racial (Cherokee and Caucasian.) James and Amanda’s marriage remained "family lore" until a cousin unearthed a quick claim deed and discovered the fifth Mrs. Newberry's name was AMANDA. In September of 1873, Amanda Newberry signed away her dower rights to a small piece of land in Wheeler's Grove, Iowa, owned by her husband James Newberry. I have scoured state and federal census records, and RLDS and LDS membership lists for females named Amanda, who lived in Mills and/or Pottawattamie counties between 1846 to 1870. Of approximately twenty candidates, I have confidently eliminated all but two. Amanda Jane Pack and Amanda Cluff are currently the best candidates. ​However, based on the parallel histories of the Pack and Newberry patriarchs, I feel there is more corroborating evidence for Amanda Pack being the probable Mrs. Amanda Newberry. As a forewarning, both Amanda’s leave us with more questions than answers. With this preliminary information in place, I give you my theory regarding Amanda Newberry as the fifth wife of James Newberry. James Newberry married a girl named Amanda between Feb. 1870 and Sept. of 1873. No official marriage record has been found. [the approximate marriage date is extrapolated from the Wheeler’s Grove Deed and the death date of his fourth wife Sybil Pulsipher Jan. 1870] What follows is a detailed analysis and comments on the study of AMANDA JANE PACK and her family’s movements from 1870 to 1880. 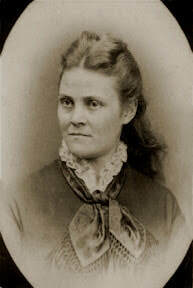 James Newberry's fourth wife was Sybil Pulsipher sister of Zerah Pulsipher, a well-known early LDS figure. She died 6 January of 1870 at Indian Creek, Mills Co. James and Sybil had moved to Indian Creek from the Council Bluffs area in 1856, after the death of James’s third wife Elizabeth Haskins. After Sybil’s 1870 death, he sold his farm in Mill’s Co. and bought land in Wheeler’s Grove, Pottawattamie Co. (August 1870) around the time of his fifth marriage to Amanda. He also had land in Montgomery Co. All his holdings were in Iowa and Missouri. After 1850, in nearby Lyons Township, Mills Co., Amanda’s father, Rufus Pack homesteaded in a place called Egypt with his third wife, widow Jane Robison Ackerly Pack. He, like many other LDS members, remained behind when the larger contingent of Latter-day Saints moved on to Utah. Many of the original Latter-day Saints, who stayed in Iowa, remained for a number of reasons. Some simply did not want to leave the Mid-west. Others were dedicated to the original Indian Mission, sanctioned by Joseph Smith. Thereby, many Saints who resided in the southwest Iowa counties were involved with Alpheus Cutler. Confused by the sudden changes to their leadership, others stood aloof, but remained true to Joseph Smith’s gospel and vision. The Pack and Newberry families had a great deal in common. Both Rufus Pack and James Newberry held the esteemed office of a Seventy. Rufus was apparently involved with the Indian Mission before the 1847 exodus to Utah. He was with the 1846 Ponca Camp, situated 120 miles up the Missouri River from Winter Quarters, which was led by Bishop Geo. Miller and a twelve man High Council. Rufus’ first wife Hannah became ill and died at the Ponca Camp. She is memorialized on the Winter Quarter’s plaque in Nebraska. James Newberry was thought to have also been involved with Lamanite missionary work, and was known to have been close to Alpheus Cutler and members of his Cutlerite organization. Three of his children married Cutlerites. He was also well known by John Pack (Rufus’s brother) who was, along with James, a Seventy in Nauvoo. John Pack traveled overland with Brigham Young on the first historic trip to Utah in 1847 and made his home there; while Rufus remained in Iowa until his accidental death in 1866. His brother John Pack is depicted on the “This is the Place” monument in Emigration Canyon near Salt Lake City. John stayed in Utah, but went on many missions. All three men were close associates of Brigham Young. 1870 Census – two households in Lyon’s Township. Unfortunately, the RLDS records are somewhat confusing. The Nephi Branch minutes record Rufus senior, Jane his wife, daughter Olive, son William Ennis, daughter Emily and son George as members – NO DATE for when the record was written. These same members are shown as withdrawn (on the same notation) from membership probably when they left for Utah in 1871. The original record seems to be in a different person’s hand as compared to the notes showing “withdrawal” from the church. Again, this record is confusing. The word “expelled” with other unreadable notes to the side, are positioned above Rufus’s name. At the end of the unreadable note is the date of 1884. By the time this note was recorded, Rufus senior was deceased 18 years and his family had withdrawn and moved to Utah in 1871. However, on a completely different page, again with no dating of the record, AND in a different person’s hand, the record for Mahala Pack, Philota and Amanda Pack are shown, BUT in the same hand that recorded the withdrawal on the previous page for the family. The exact same note, in the same hand appears on this page as well. Though not completely readable on the previous page, the note much clearer here and confirms, “withdrew from the church – secretary? J. M. Stubbard Mar. 1884.” It appears the person who made these notes was clearly going on remembered information, older lost records or hearsay. Ultimately, it suggests that Jane left the church probably under duress; the elders were probably none too pleased with her decision to leave the RLDS fold and go to Utah with the Brighamites. The fact is, as late as June 1861 Rufus Pack was participating in church activities during a special conference in Council Bluffs. Therefore, I doubt that Rufus senior was the one expelled. He was deceased four years before Jane left for Utah, therefore it was probably Jane's membership that was in question, due to her trip to Utah to investigate a possible new life there, which will be discussed momentarily. The fact that the word “expelled” was used on the record gives veracity to the idea that the two factions of Mormonism were not quite at peace with one another since the entire family suddenly withdrew or were expelled from the RLDS Church and went to Utah circa 1870. Given the nature of the record, it is difficult to tell when Amanda withdrew. Although it can be corroborated that Jane, Olive, George and William Ennis withdrew, possibly together. The record for Amanda and her half-sisters is not so certain. Amanda is listed on a different page with a different person’s handwriting, with her half-sisters, Mahala Pack b. Nov. 15th 1838 and Philota Pack b. June 28th 1841 in Fremont Co. Iowa. All were shown to have withdrawn their RLDS membership, but not necessarily at the same time as Amanda’s mother Jane. They may not have withdrawn from the RLDS church as a group, but perhaps individually, and the RLDS record is imprecise. This web site > > > gives a little more info about the RLDS records on the family. I have copies of all the original Nephi Branch, RLDS records in my files as provided by archivist Barbara Bernauer of the Community of Christ. In the Deseret News, there was an article written by Rufus Jr., in which he explained the 1871 migration to Utah with his mother and unidentified sisters. Upon learning of Rufus Pack's death, his brother John Pack returned to Iowa from Utah to fetch his sister-in-law Jane Robison Pack. 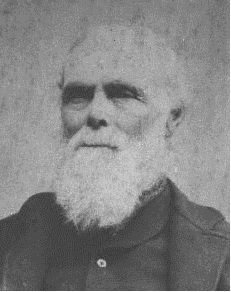 As mentioned, John Pack had gone to Utah with Brigham Young in 1847, but traveled extensively. At least three of those trips are recorded on the [Pioneer Overland Travel web site.] He purportedly added Jane to his polygamist family in Utah sometime in 1871. However, this information is suspect. Until then, Jane is shown in the Mills Co., Iowa census as head of household - recorded 12 August 1870. [U.S. federal Census 1870] John Pack is shown in Utah with only his wife Julia and their children including Erastus who was 17 years of age and important to the overall story. [U.S. Federal Census June 1870] Some of Rufus’ children by his deceased wife Hannah and Betsy are known to have stayed in Iowa and married. William Ennis may have moved to California. A woman named Amanda is shown in a later California census record living with William Ennis. By the time Jane left Iowa, in 1871, I believe her daughter Amanda aged 17-19 was already married to James Newberry aged 79. If this marriage is in fact accurate, Amanda stayed in Iowa with James until at least September of 1873 or early 1874. Then (according to family stories) it was said she left James (reasons unknown) and went to Harrison County. [Shelby Co. History, for A. M. Newberry. 1889 Biographical History of Shelby County, Iowa, pp. 622] Other Robison (Amanda’s mother’s family) family members were located in Harrison Co. in the 1870s. Perhaps when she left Mills/Pottawattamie Co. she went to relatives in Harrison Co., looking for refuge and/or passage to Utah to be with her mother who had previously move to Utah, living with John Pack’s family at Woods Cross (Davis Co.). In the last six years of his life James lived with his daughter Jolana Winegar and her husband, as he had become infirm. Perhaps he released Amanda from her obligation as his wife because she was so young and probably missed her family. Divorce records were not required by state and federal law at that time. Often times, frontier families simply went their separate ways without the benefit of law. When Amanda's mother Jane, arrived in Utah, she was purported to have been what I term a "satellite" polygamist wife in Millard Co. to John Pack. He remained in Salt Lake with his other spiritual wives. However, his marriage to Jane cannot be documented, and some genealogists say this isn’t so. Jane and her children lived at Wood’s Cross, where Amanda later gave birth to her son Joel in 1876. Upon arriving in Utah, Amanda married her cousin Erastus Pack, son of John Pack. In Erastus' obituary, it is stated that his first marriage was to someone named 'Emma' in 1870. Other family members say that he was married to Amanda in 1875. According to the obituary, it was Emma who supposedly died in Montana, and the contemporary family claims Amanda died in Montana, but never mention Emma. It appears there is some subterfuge occurring with regard to Amanda. Was Erastus married to two women? Was it Emma who died in Montana. Did Amanda leave him when Emma died? Photos posted on familysearch.org show a woman who is identified as Amanda. Is this person actually Emma? The daughter Myrtle bears striking resemblance to one of the women. (see below) Note: The obituary is ragged on the right side, so some info is extrapolated. Emma's maiden name is not shown. So is it possible Erastus Pack took more than one wife to Montana? Have historians confused them? Amanda could not have married Erastus in 1870, as she was enumerated with her mother on the Mills Co. IA. census. I am sure Erastus' family would have had documentation on a marriage to Emma in 1870, since it is shown in his obituary. However, there are no documents proving Amanda's marriage to Erastus, yet she is in the state census' of Millard with Erastus, her mother and siblings. In the [1880 Utah federal census] Jane owned the first log house in Millard on the Sevier River. Bruce McIntire writes in 1876 she was the first to settle Deseret, Millard Co. Utah. Rufus Jr. corroborates the log house, but his sister Amanda and her husband Erastus were the first residents, according to Rufus Jr. [My Early Mormon Ancestors, by Ronald Bruce McIntire. p. 86-90, Deseret News article on Rufus Jr. ] Rufus' chronology of the family varies slightly. Other records state, by 1877, AMANDA (former wife of James Newberry?) joined her mother in Deseret (Hinckley) Millard Co. with her husband/cousin Erastus Pack who was the son of Amanda's uncle, John Pack. [McIntire] The IGI states that they were married in September of 1874-5. No clear proven date or year. I suspect genealogists are guessing. Two entries on IGI show different years. [No record is shown in the LDS marriage databases] Which family was first in Millard Co., is not clear or important; though in the Deseret News article, Rufus Jr. mentioned that his mother Jane and he joined Erastus and Amanda, who were there first, but Jane built the first log house in 1879, Amanda and Erastus are found in the 1880 census living next to Jane and brother Rufus in Deseret, Willard Co. Utah. [1880 federal census] Rufus was 11 years younger than Amanda, so perhaps his memory of the time was inaccurate. Amanda and/or Emma had two children by this time, the first born September 30, 1875. The 1880 census shows a blending of the elder John and Rufus Packs’ children with the matriarch Jane Robison Pack (50 years old) in the settlement of Deseret. Household 1: Adleburt Pack 27 (brother to Erastus) with his wife Elizabeth, son Mathias and their son, and an unnamed baby girl 6 mo. Household 2: Erastus is next at 26 years with Amanda 26, with son Joel 3 and Myrtle a daughter 1 year of age. Merritt Pack 24 (brother of Erastus) is living with them. Household 3: Jane Robison Pack is 50 years with her daughter Rosette 21 and Rufus her son 15 years. The modern Pack family doesn’t know what happened to Amanda; nor do they cite their sources on marriage, birth and death dates. They only say Amanda died “about” 1881 in Anaconda or Helena Montana, which by modern maps are 85 miles apart. Butte at 24 miles is closer to Anaconda than Helena and was well populated by that time. The IGI claims that she died in Anaconda and was buried in Helena. A modern descendant, recently told me that the story of her death in Montana. He said the information came from a person who was supposedly was a descendant of Erastus Pack’s mining partner. Name of the partner is unknown, but the family seems to give more credence to this partner than seems logical. By 1881 Anaconda was owned by W. A. Clark, a very wealthy individual who was the owner of Anaconda, Butte, Montana. He had a son also named William Andrews Clark who lived in Los Angeles, California. "The details on the Anaconda stories have come to me through a collateral Pack family member who has done a lot of work for the Anaconda mine over the past few years. After calling to get some sketchy details about the Anaconda story, he approached the family of Erastus Frederick's partner, who still owns the mine, and asked them if they knew anything about it. They proceeded to tell him more of the story than we had never known before. This was not information that is publicly stored or known." Because the family has no definite information about Amanda I was suspicious as to the circumstances of her disappearance, so I continue to track her. I believe she may have gone to California at some point and perhaps remarried. I found an Amanda Pack working for a man named W.D. Clark in Oroville, California as a cook in 1912. Could this possibly be a son or grandson of W. A. Clark? In following these people, it is my opinion there is a possibility that Erastus was a polygamist and he had to disavow Amanda when the federal government became involved in prosecuting men with plural wives. According to Erastus' obituary, his first wife was Emma and they were married in 1870. His marriage to Amanda obviously took place, but they were not married until 1875. It is my opinion the woman of the middle photo may be Erastus' first wife Emma with whom he didn't have a child until Myrtle was born in 1878. Joel Pack was born the same month and year that Amanda and Erastus were married. Therefore, it is possible Joel was not the son of Erastus. Further, I suspect that Erastus took two wives to Montana, or perhaps Emma stayed behind in Salt Lake. Amanda was used to the rigors of the frontier, perhaps Emma was not. With so much uncertainty surrounding this family, I believe Amanda left Erastus and went on her own, leaving her son with Erastus. How this might be proven is yet to be known. M - Is the woman in the middle Emma - from Erastus' obituary - or Amanda Pack ? Myrtle Pack below greatly resembles middle woman's photo. R - Photo on the far right is from the Iowa family album. The woman on the left is Jolana Winegar. It is suspected woman on the right is Amanda Pack. Note she is pregnant. She left James Newberry around 1874. Is the boy below actually her son? Note his birth date as opposed to the marriage date reported by genealogists for Amanda and Erastus. The young man below resembles James Newberry through the eyes. and mouth. Note the same features on Jolana. Born Sept. 21 1878 mother purportedly married Erastus F.